Recent studies have found that apologizing to your spouse and asking for forgiveness are crucial ingredients in a successful marriage. Apologizing to your partner when appropriate will validate their feelings, promote forgiveness, and allow you both to move on from mistakes. Rather than pointing fingers in an effort to identify who is at fault, humbling oneself and confessing to the words or behavior that have caused your partner pain, upset, or harm can go a long way toward strengthening your marriage. It’s not about who is right or wrong if it’s a matter of your being “right” at the expense of causing pain to your spouse. Jake feels resentment and anger towards his wife Erin since he found out that she spent some their savings on a down payment for a vacation with her sister. Over the past month, Jake has shut down emotionally and he’s been giving Erin the silent treatment. After their second couples counseling session, Erin apologized to Jake and his positive feelings and goodwill toward her are slowly being restored. When Erin was able to confess her wrongdoing and ask Jake to forgive her, this had a positive effect on his ability regain trust and had a healing effect on their marriage. 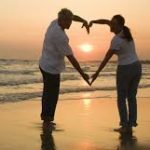 According to experts, the capacity to seek and grant forgiveness is one of the most significant factors contributing to marital satisfaction and a lifetime of love. Forgiving others and yourself is necessary for achieving healthy relationships. It is about being willing to acknowledge that you are capable of making mistakes, of being wounded, and can also risk being vulnerable. Often people equate apologizing with weakness and it’s widely believed that if you apologize to someone you’re making yourself too vulnerable. However, apologizing can also be seen as a strength because it shows you are able to show goodwill toward your partner and it promotes forgiveness. Studies show that forgiving someone is one way of letting go of your baggage so that you can heal and enjoy a better quality of life. Apologizing and practicing forgiveness is about giving yourself and your partner, the kind of future you and they deserve. In The Science of Trust, Dr. John Gottman explains that couples who are emotionally attuned can fully process and move on from negative emotional events, forgive, and ultimately create a stronger relationship. In other words, couples who are able to give sincere apologies to each other can rid themselves of the toxic hurt and shame that holds them back from feeling connected and emotionally attuned with their partner. You may stubbornly hold onto the belief that you have nothing to apologize for – especially is your hurtful behavior or words were not intentional. However, apologizing to your partner is a key aspect of a successful marriage because it allows you to let go of large and small transgressions. If you do apologize to your partner, be sure to do it in the right way that does not include excuses for your actions or words. Not all apologies will be the same but most will contain some of the following elements. Identify two reasons you feel sorry for the hurt that your behavior or words caused your partner. Gaining awareness of the emotions you experience about your own past hurt can help you feel empathy for your partner. Ask yourself: why did I feel the need to behave in a way that caused my partner pain or upset? Was my behavior intentional? Use the words “I am sorry” and “I was wrong” when you apologize. Your apology will more likely be heard and accepted if you use these words. Be specific about exactly what you did to hurt, humiliate, or embarrass your partner. Explain to your partner how you plan to repair the situation (if this is possible). For example, if you said something to hurt your mother-in-law’s feelings, you might offer to apologize to her over lunch or by writing her a note. Ask your partner to grant you forgiveness. Be specific about your actions and words that need to be forgiven. Be sure to do so when the setting is conducive to a private conversation and there aren’t any distractions (TV, cell phones, children in the room, etc.). Don’t let wounds poison your love for your spouse. Be vulnerable and don’t let your pride cause you to hold on to being “right.” Discussing what happened with your spouse and taking responsibility for your actions will allow you to let go of resentment so you can improve the quality of your relationship. Apologies are an essential ingredient of a strong, healthy marriage. Accepting that you and your mate do the best you can will help you be more understanding. This does not mean you condone his or her hurtful actions. You simply come to a more compassionate and realistic view of your spouse. When you acknowledge your flaws – the things that make you human – it means that you can be vulnerable with your partner rather than allowing your fear of rejection or failure to overwhelm you. Apologizing and practicing forgiveness are about giving yourself and your partner, the kind of future you and they deserve – unhampered by hurt and recycled anger. It is about choosing to live a life wherein others don’t have power over you and you’re not dominated by unresolved anger, bitterness, and resentment. Follow Terry Gaspard MSW, LICSW on Twitter, Facebook, and movingpastdivorce.com. Terry’s book Daughters of Divorce: Overcome the Legacy of Your Parents’ Breakup and Enjoy a Happy, Long-Lasting Relationship is available on her website.